The Ontario Bar Association Institute Program represents the largest gathering of lawyers in Canada. 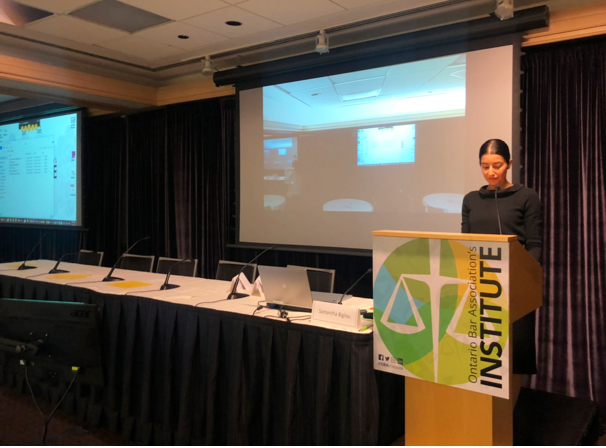 Special thank you to the Law Society of Ontario, Practice Management Group, for the transparent discussion on how to proactively manage your litigation files for an audit. This marks Sam’s fourth year chairing the program, and first time as Madame Chair of the Ontario Bar Association’s Sole Small Firm and General Practice Section.